Though there’s place for idle talk about movies, the weather and general skinder, we would probably improve our job prospects if we also talked more about job opportunities in our daily networking. South Africans spend an impressive period of time daily on social networking. So much so that a recent study found South Africa to be the country that tweets the most on the African continent. The study conducted by Portland Communications and Tweetminster shows that South Africans sent five million tweets during the last three months of 2011. Instead, she points out, a mere 22 percent of the Africans surveyed for the study said they used Twitter to search for job opportunities. Unfortunately, the majority of those polled said they tweeted mainly to communicate with friends. Furthermore, the study confirmed that it is indeed the younger generation that love tweeting – 60 percent of Africa’s most active tweeters are between 20 to 29 years old. “Since this the age group that is likely to be most active in job searching, it would make sense that they increase their use of Twitter – and other social media – to search for jobs, talk about employment, share their career aspirations and build useful connections,” says Rabson. Tweeting need not only be for social purposes – it can be educational too. Learners should make the most of every minute in and out of the classroom, maintaining contact with both their friends as well as informed tweeters such as @skynewsbreak for news, or for interesting opinions @piersmorgan. Connect with people in the companies and jobs where you are looking for employment. Identify and “follow” entrepreneurs, especially if you’re an aspiring entrepreneur with an idea, product or service that you wish to take to the next level. Make a Twitter List and add the companies you are interested in working for. Tweet some of your skills without linking them to a specific job; somewhere, someone may be looking for those skills. Tell others about vacancies you’ve heard about or job adverts you have read in the paper – a recent SMS sent to Boston Graduates for available positions brought in 65% of non-Boston applicants. This shows the power of social networking in helping others to find jobs. Create a LinkedIn profile and link to that on your Twitter page – this way everyone gets to know what you do and you become more accessible too. Tweet interesting titbits about your job; this shows you’re passionate about your work and may attract the attention of a prospective employer. Use your real name for you account if you can. If not, use something that is professional and related to what you’re going for. Join in conversations that relate to your field of expertise – in the exchange you’re bound to learn as well as teach something new. Tweeting teaches you to focus on getting across a message quickly, clearly and in few words – applying this useful skill to your normal CV should improve its impact remarkably. Connect with those who can possibly mentor you or at least give you a better understanding of what an industry or field of work is about – broaden yoru understanding and knowledge of a career and an industry. If you have a large following or network you may be able to persuade a company to use you for marketing, brand building and/or market research purposes for a fee. Ensure your dealings are ethical and be upfront about your intentions. Share ideas or brainstorm solutions with people in your field of work – this can go a long way in reputation building. 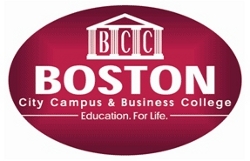 Boston City Campus & Business College offers over 80 dynamic career qualifications throughout 48 branches nationwide. Unisa degrees & media studies are also available at selected branches.